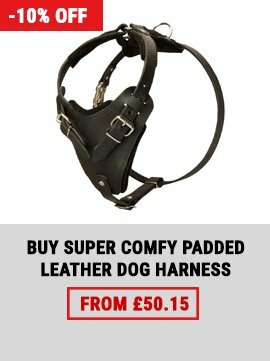 What do you need a dog harness for? 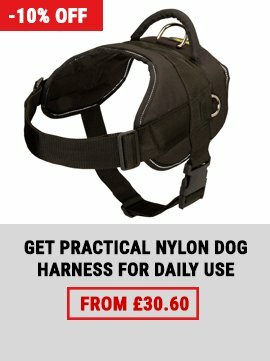 Do you need a harness to walk your dog? 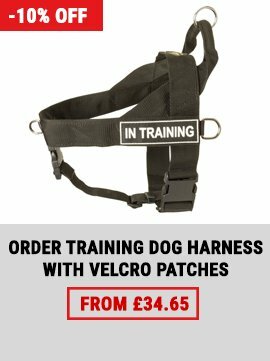 Or maybe you need a harness for dog training and sports? 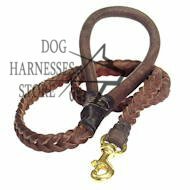 Here is a handcrafted leather dog harness, that is suitable for basic kinds of dog activities and satisfies all the necessary demands. 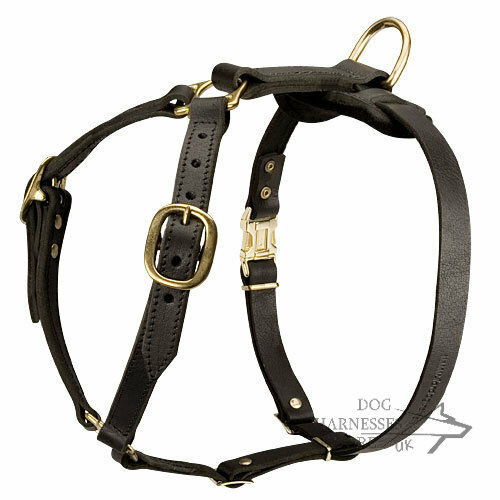 This handmade dog harness is non restrictive because of two-layered leather it's made of and double stitching. 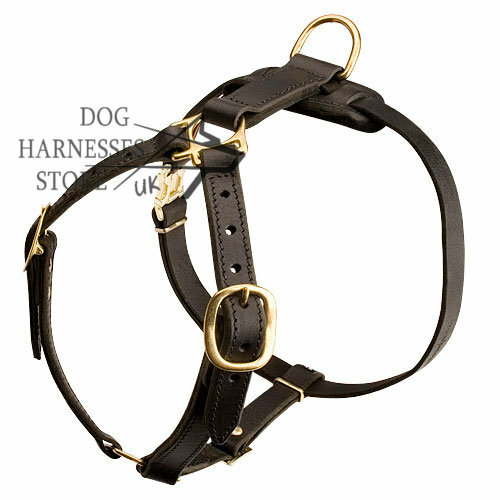 The design of the leather harness doesn't hinder dog's movements so you can even ride a bike and the dog will run nearby easily. 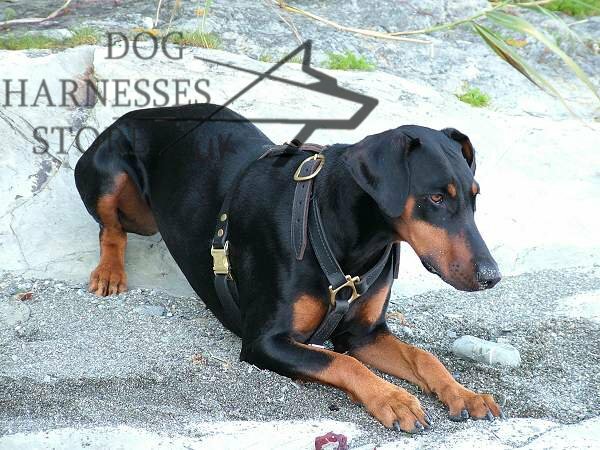 The leather bands follow the dog's body so it can hardly feel the weight of this handmade harness. 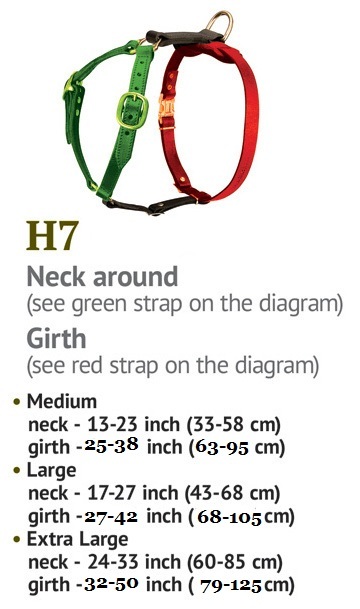 You can regulate the size of the harness if the dog's body dimensions change. 2. Hi Natasha, I have just received my harness so if the next 1 turns up. I will not except it. 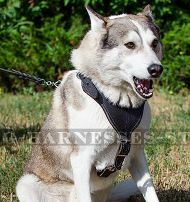 I'm very impressed with the quality of the harness and the size is perfect he has loads of room to grow into it. Although the first order didn't turn up and did have to wait awhile I was impressed with ur customer service you always got back to me so I new what was going on, which I think is very important. I will defiantly be ordering from you in the future, many thanks for your time and effort to get my order to me. 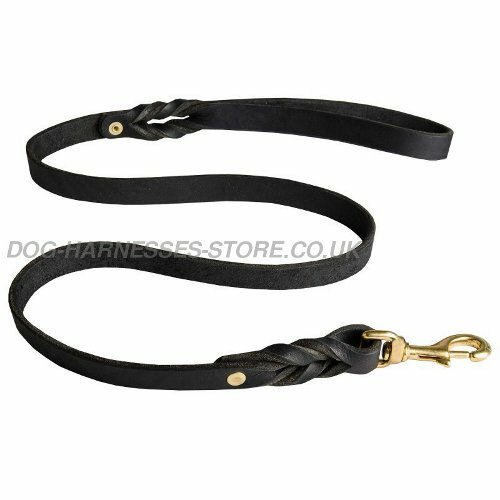 Do you want this leather dog harness to have rich, shining look and to serve your dog as long as it is possible? Then you need special balsam to provide proper leather care for this accessory! 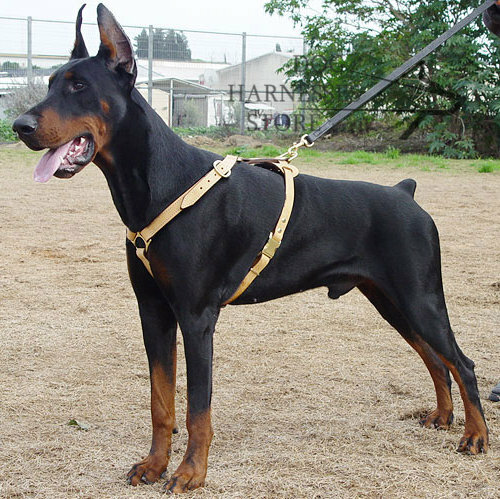 Your dog's leather harness will always look like new with our softcare balm! See our collection of the best leather dog walking harnesses.